Sabre Rigs Ltd. design and build training rigs and also supply a range of practice installation kits, educational aids, service kits and tools to schools, colleges, universities, prisons and other training centres throughout the British Isles. Sabre Gas Training Rigs are now widely established in many centres where they are used in training and assessment for GasSafe registration, also assisting teaching of ACS accredited courses, BPEC, City and Guilds, EAL, Logic Certification, NVQ, and NICEIC. 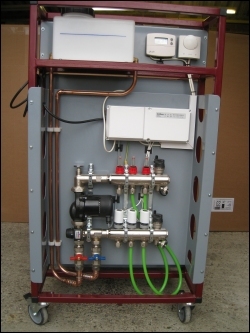 The Unvented Domestic Hot Water Training and Assessment Rig is also used in conjunction with Plumbing courses. Using the expertise and experience gained from many years in this field we now provide a wide range of robust Gas Training Rigs since 1997 and we have reviewed and modified rig design to keep them current to industry standards. In keeping with today’s focus on renewable energy systems, Sabre has developed a range of training rigs and equipment suitable for use in MCS and Green Deal training courses. The range of Renewable Energy Rigs includes : Solar Thermal Rigs, Solar PV Rigs, Air Source Heat Pump Rig and Ground Source Heat Pump Rig. These are mobile training rigs - conveniently sized to allow for storage and quick access within different areas of the training facility, for internal and external use. They have also been designed to move through standard door openings. All four wheels can be 'braked' in order to immobilize the training rig during use. Sabre rigs can be used for training and assessment purposes or as a sales aid for demonstration purposes in showroom situations. Sabre, working in association with Timoleon who are leaders in this field, have recently launched an Underfloor Heating Rig that allows students to gauge the different properties of various flooring types together with a functional underfloor system. The rig is mobile and easy to move around training facilities. 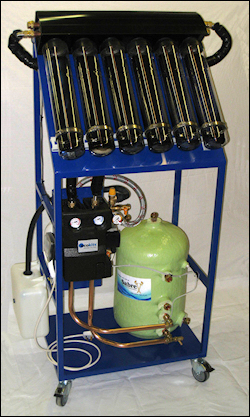 An Air to Air Training Rig and Rain Water Harvesting System Kits are also now available. Sabre also supply a range of tools, training aids and accessories at special prices for educational establishments. 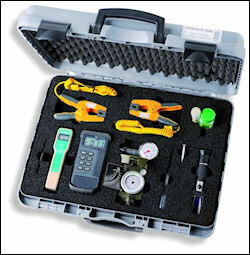 The Kit contains the Kane 250 Analyser together with an infra-red printer, batteries and charger contained in a carrying case. 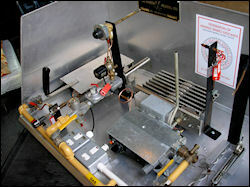 Gas Safety Training Rigs are designed to help with the ACS Core Gas Safety Assessment and Training. Our Commercial Gas Rigs assist with gas safety training in the industrial sector. Sabre Gas Rigs cover all the elements laid out by UKAS: They are currently used in colleges and training centres throughout the UK & ROI to train and assess gas safety. Sabre Solar Thermal Training Rigs are based around a range of different solar collector types - Flat Plates, Evacuated Tubes, and Heat Pipes. The rigs are designed to simulate the complete system on wheels that can be rolled out into the sunshine or used under intense indoor lighting. 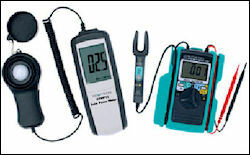 We also supply a range of equipment, tools and training aids for use in both ACS and MCS accredited courses. Sabre offer Solar PV Training Rigs for both Grid-Tie systems and Off Grid systems. 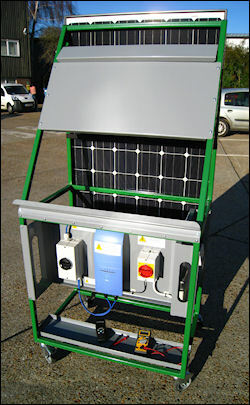 The Solar PV Rigs include all the components for demonstrating an installation. These rigs can also be used in a showroom situation for end point sales demonstrations. 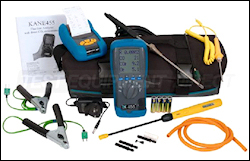 Sabre offer a wide range of testing equipment, tools, training aids, installation kits and accessories for use when doing a Solar PV installation. In association with Kensa Engineering Ltd.	we supply the Ground Source Heat Pump Demonstration/Training Rig and Purging Unit. Air to Water and Ground Source rigs can be fully filled and flushed for training purposes. 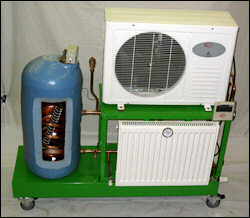 The new Air to Air Heat Pump Rig comprises outdoor and indoor units mounted on a single frame. Each rig is pre-charged with refrigerant. The Domestic Hot Water Training Rig, based on the market leading Ariston Europrisma electric water heater, is designed to demonstrate how an unvented Domestic Hot Water Heater should be fitted and to highlight some of the common faults. The Underfloor Heating Training rig designed and developed in association with Timoleon Ltd illustrates the different materials that can be used in Underfloor heating. The rig shows the basic mechanics of how an underfloor system works for training purposes. Energy generated by windchargers can be used for a variety of practical applications e.g. off-grid homes, remote telecommunications, monitoring and electric fences. 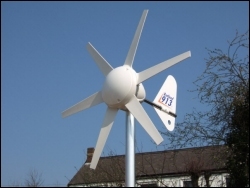 Off-Grid Windchargers are ideally suited to Renewables Enrichment courses e.g. ABC Sustainability Energy Wind & Fuel - Level 2 certificate. We supply various sizes of land-based Windcharger and kits. 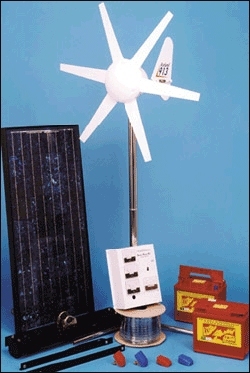 Various kits are available to enhance the studies of renewable energy systems. Simple and safe to install, these kits are compatible with National Curriculum attainment targets and statutory requirements in Science at Key Stages 1 - 5. The Graduate Green PowerEd Kit also provides ICT opportunities i.e. data logging as it enables continuous computer generated information to be processed. 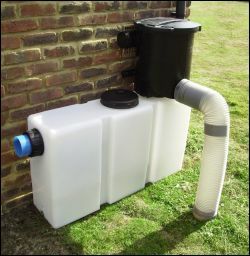 A small scale working rainwater harvesting kit is now available. This demonstration kit is designed to show the complete process of rainwater harvesting in a teaching environment. Also, read about our Greywater harvesting and our Rainwater Utilisation Plant. At Sabre Rigs Ltd. we have a wide range of equipment that will make your job a whole lot easier. 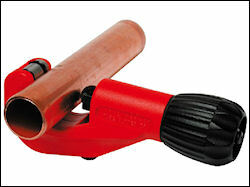 At Sabre Rigs Ltd. we are proud to offer some of the best, affordable, robust tools for the plumbing industry.